Have you lost your precious, personal data? Are there missing files? At Computer King Ongar we can help you recover your lost data from faulty laptops, hard disks, USB Memory Sticks, Raid Server and other types of digital media storage devices. We serve both home users and businesses across Dublin area. With the advance of technologies, today, not all data is stored on hard drives. It can be stored in our smartphones, tablets, smartwatches and other devices. It is very easy to drop or break your phone and the data will be accidentally lost. If you find yourself in an unfortunate case that you lost your personal data, we encourage you to bring the faulty device to us so we can start to recover it. We can guarantee you that your data will be saved and you will be happy again. There is no charge if we can’t recover the data from your media device (extremely unusual). 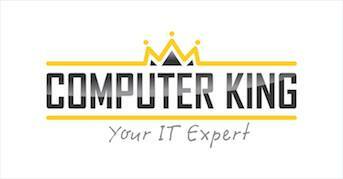 To Contact Computer King Ongar for data recovery and data transfer services please call 086 444 5444, 01 683 1518 or email at info(at)computerking.ie. Alternatively you can come into our store located in 23 Main Street, Ongar, Dublin 15. You can also come into our other stores located in Leixlip – Co Kildare, Ratoath and Dunshaughlin – Co Meath.